In the pantheon of Romanian food, Cluj owns the naming rights for one of the more popular dishes: cabbage a la Cluj. Few cities in Romania can claim this honor so we decided to investigate what makes Cluj so popular with tourists and taste buds alike. Cluj, the unnofficial capital of Transylvania, is a cosmpolitan city that draws its vitality from the thousands of students who attend one of Romania's best universities, Babes-Bolyai University. The mix of Romanians and the Hungarian minority adds to its complexity and sophistication. 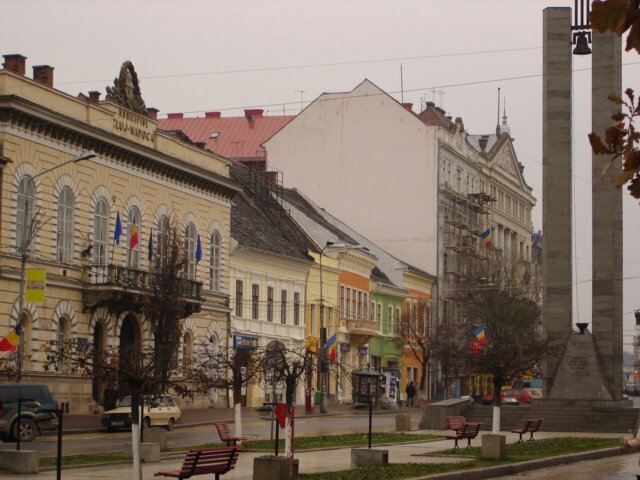 In the late 90's Cluj was swept by a Romanian nationalist movement that sought to remove many of the Hungarian minority's rights, but today the ethnic tensions have died down and the two ethnic groups seem to live comfortably together. One evening, we went to a screening of experimental short films at Tranzit, a local internet cafe, and met a couple of Hungarian students. I asked one of them what he thought about the nationalist movement. He told me that many Hungarians were quite scared of it, but that things are much better now. 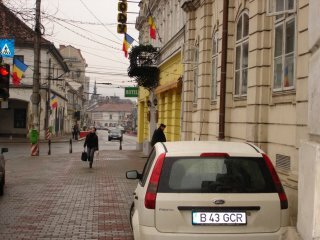 I liked Cluj. The city just seemed to have its act together. The Melody hotel in the center square offered a reasonably priced room with a beautiful view of the evangelical church. If in Bucharest we had trouble finding a good cafe, Cluj gave us a choice of three excellent cafes (and a tea room) on just one corner of the main square. The city infrastructure seemed to work reasonably well, too. Soon after we arrived we got our first parking violation ticket for parking without a permit on one of the main city streets. After that we parked our car Romanian style on the sidewalk right next to the main square (the hotel claimed it was "their" parking spot; we didn't argue). 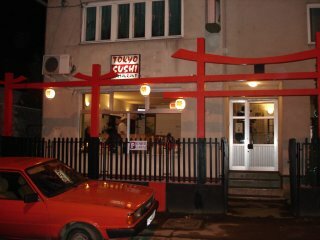 Cluj even has a sushi restaurant, if you can believe it. In landlocked Transylvania, a Japanese chef decided that Romanian taste buds need to experience more than just "varza a la Cluj", so he opened a sushi restaurant that draws a small, but curious Romanian crowd. We went there one night with a couple of friends. I was impressed with the atmosphere (our Romanian waiter was wearing a kimono! ), but I couldn't say the same about the food. It must just be me. I always prefer a good local food like "varza a la Cluj".